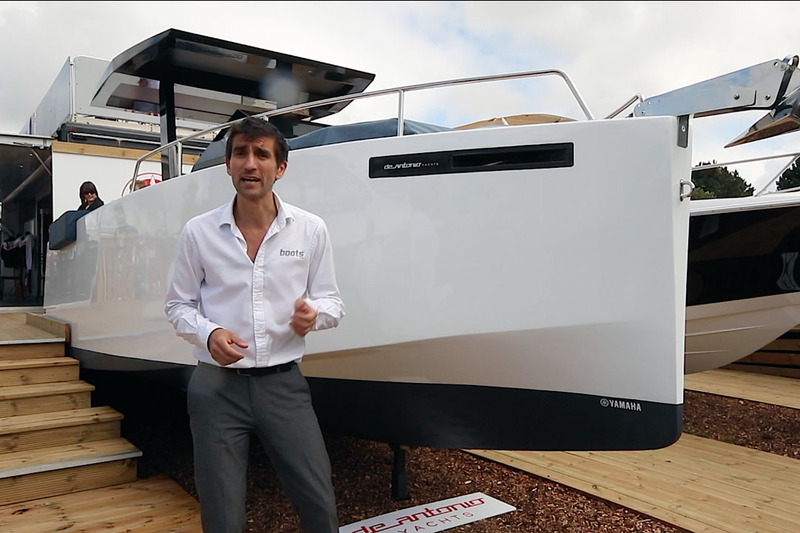 Alex Smith looks forward to the new Yamarin Cross 75 BR – the new flagship of the Cross line from Scandinavia. Yamarin Cross 75 BR: new flagship for Yamarin Cross line offers 50-knot performance, heavyweight construction and mature handling. 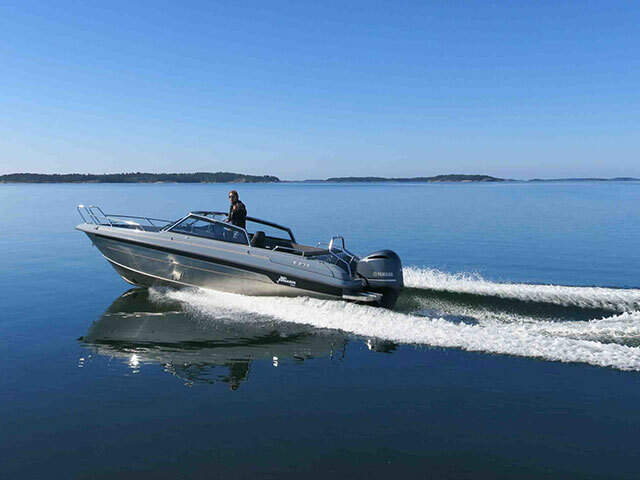 The Cross 75 BR is a 25-foot open boat that follows the formula laid down by its more compact predecessors. 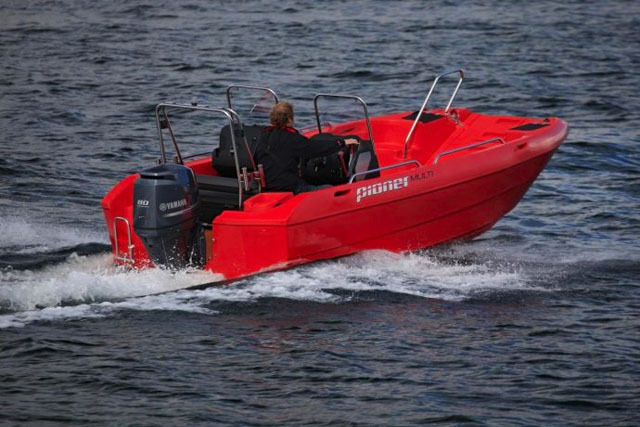 Built from 5083 aluminium (which is 30 per cent stronger than the 5754 aluminium often seen on leisure boats), it is designed to offer better inboard space and far more muted hull noise underway than most aluminium craft of a comparable size. 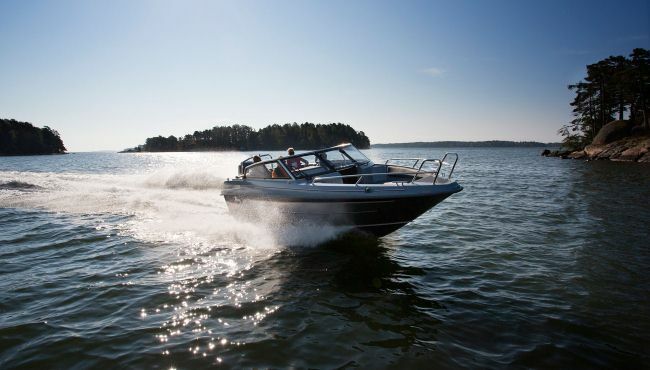 A relatively deep V of 22 degrees, allied to a weight of 1,350 kg and a well-proven hull design should also mean composed family entertainment even in heavy seas - and the standard features list also looks quite generous. The windscreen comes with thick pipes of polished acid-proof steel and glued, pre-stressed glass, plus wipers on both sides. At the helm, the driver is treated to a wide offshore seat equipped with dual armrests, plus a pop-up cleat for singlehanded helming. Back aft, a large aluminium bathing platform offers generous anchor boxes and a dedicated mounting point for an anchor winch - and you can also specify fore and aft sundecks, plus a fridge and a heater from the options list. 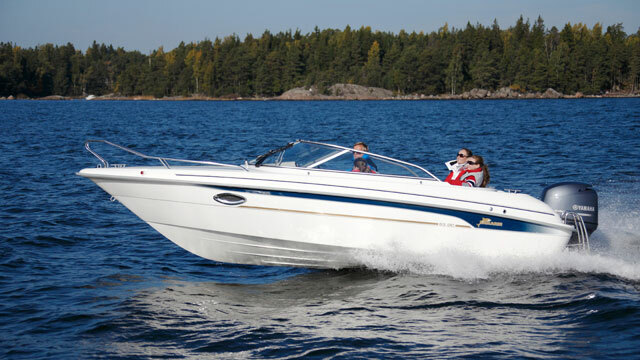 However, in typical Scandinavian fashion, this particular bow rider ignores the ‘bow rider’ bit and replaces the commonplace V-seating arrangement with an open bow space and a pair of detachable seating boxes. Plainly then, if you want a conventional ‘BR’ layout, you will have to look elsewhere. But with the promise of 50-knot performance, heavyweight construction and mature handling, the Cross 75 looks likely to be a very serious (and seriously unusual) high-end bow rider design. We were lucky enough to shoot a First Look Video of the boat a few months after this post was written, watch the video below. 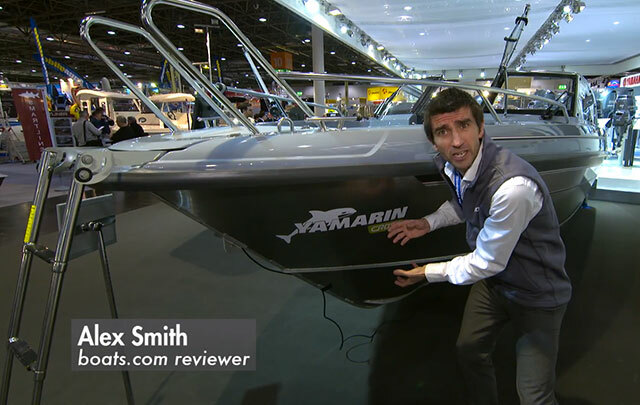 Want more bowrider news and reviews on www.boats.com? 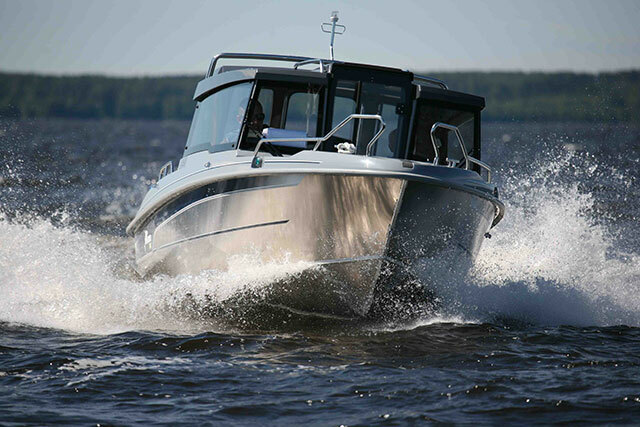 Try: Beneteau Flyer 6: Three New Looks for the New Year and Buster L Pro: A Winning Formula from Finland. 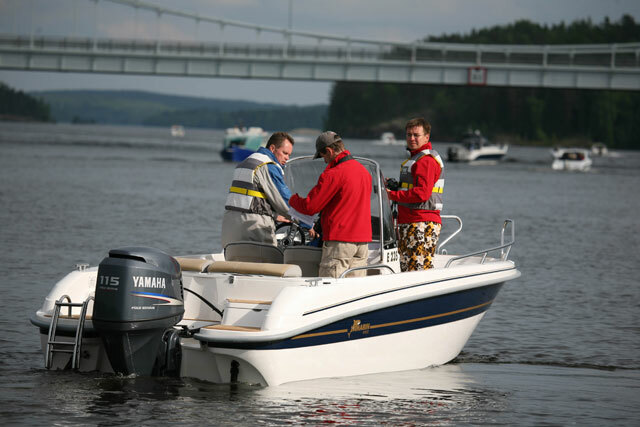 Search all Yamarin boats for sale in the UK.